This thread has no purpose other than to post your ugliest, most beatup plane that you own. Only requirement: It must be able to commit aviation. Sorry for blur, it was the only file that would fit. If it were a dog, I'd stay way back. It has hard points for one fully automatic airsoft gun, and 3 airsoft grenades. I don't use it for that, but my friends want me to do one flight with this load out at an airsoft war. 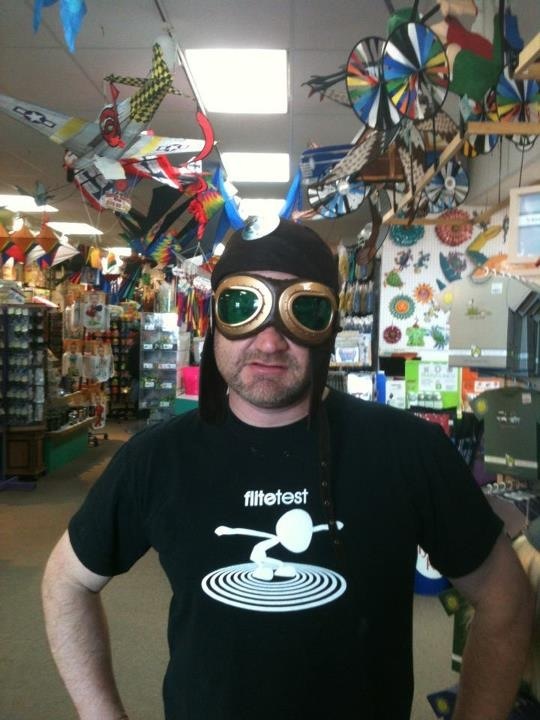 Usually it is just an aerobatic fun flier. 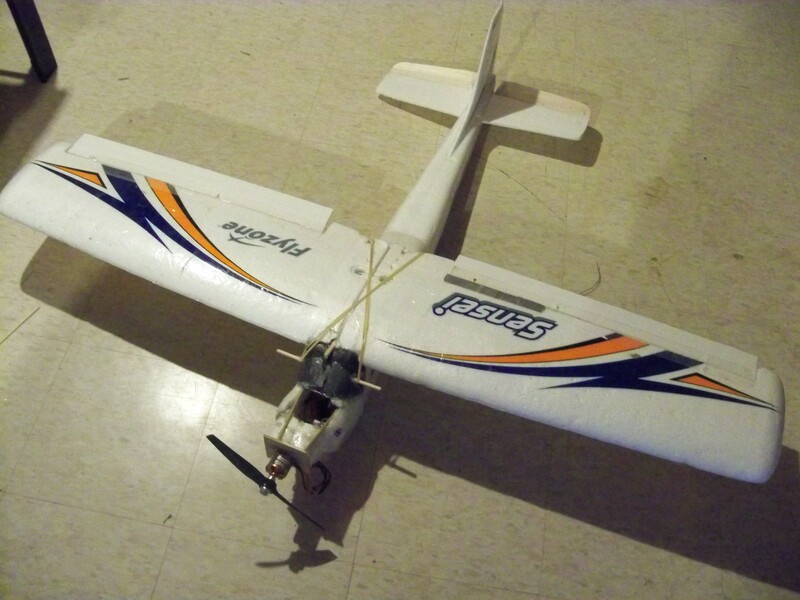 I need an ESC that can handle a four cell to do good aerobatics though. Ah, if only I still had my Tuff Trainer... 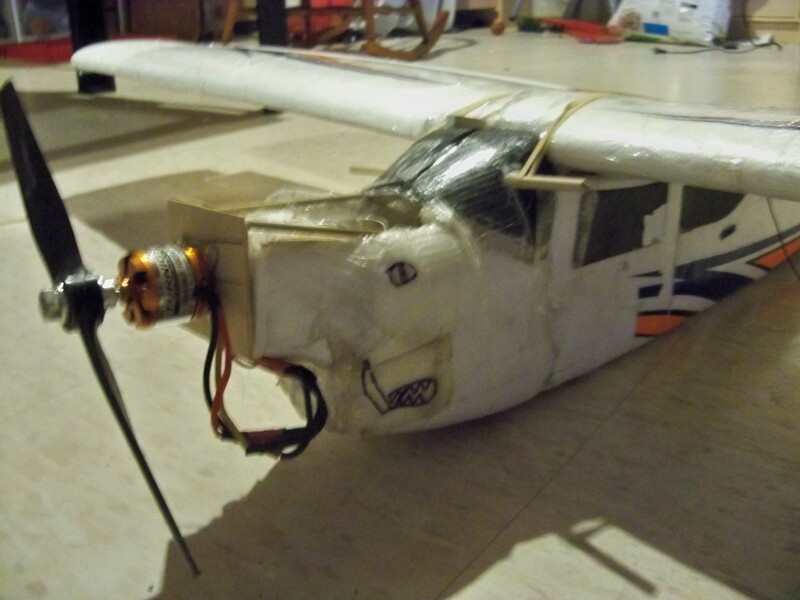 The nose was 98.3% epoxy, but it still flies great. However I don't think you can beat Ron's (Xjet channel) AXN. The first pic is of my beloved Wild Hawk that I found in the curbside trash. Its the upside down one. My flying bud, Grandi, and I had a pretty awesome mid-air just before this pic. As I recall, I was was above him and approaching from his 5:00. I beleive I had lulled him into a false sense of security (really dumb on his part) by behaving as though I was flying formation with him. Once I had him in my sights, I dove down. His prop met my elevator control rod. 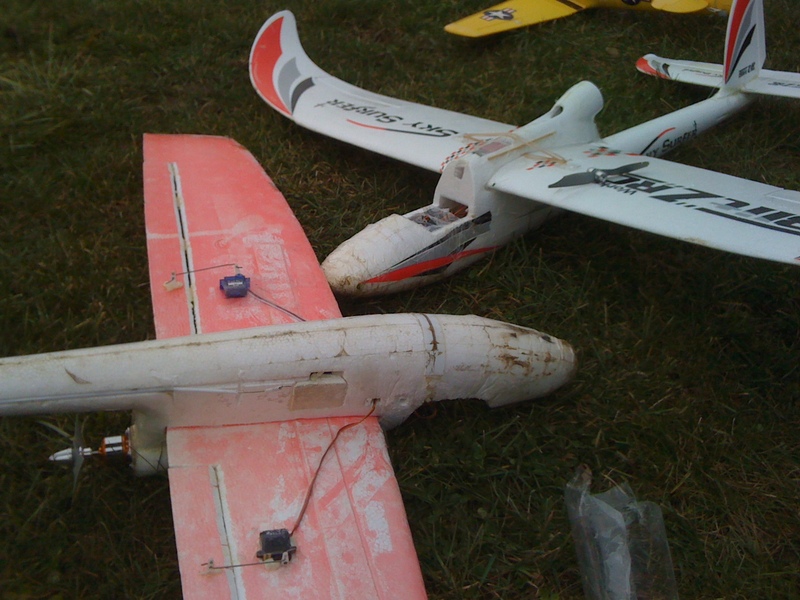 My rod was ripped out of the servo arm and his prop spun off his motor (its laying on his wing in the pic). It also put a couple of good gouges in my tail boom. But, as a testament to Karma, I have his brand new Bixler sitting in my classroom at this very moment. Would it be petty of my to sabotage it? The second picture is of me. Take all the shots you want. I think I look pretty damn snazzy! That sensei is built out of three sensei, one of which had a 6300 3 cell blow up in mid air! The other 2 were pile driven, and I ended up with them. That sensei has been in 30 mph winds, and it is the sweetest warthog that you have ever met!